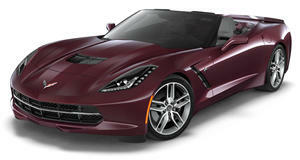 The Corvette has acquired the stature of an American legend. For nearly six decades on mainly American roads, the Corvette has become an American cultural icon as much as any other American icon. It&apos;s taken part in movies, TV series ("Route 66" was probably as important to the Corvette image as can be), mentioned is songs, and even Elvis Presley drove a 1959 Stingray racer in the movie "Clambake". A Corvette also made an appearance in the James Bond movie "Live and Let Die" and was also briefly featured in "American Graffiti." The Corvette had the honor to kick start the writing career of Karl Ludvigsen, one of the most important automotive authors ever. In 1959, when he was the technical editor of "Sports Cars Illustrated", he published a booklet dedicated to the car. He later published four more books and helped position the Corvette as the ultimate American sports car. Coming from a Europhile like Ludvigsen, this was a great tribute to the Corvette and its people. Ever since Ludvigsen, dozens of other mostly American authors, famous and less famous, have dedicated their time and efforts to depict, record and photograph its multifaceted development, growth, activity and influence. The basic book for a Corvette fan is probably the "Corvette Black Book", an annual publication that is dedicated to Corvette history and technical details of all generations. "Corvette American Legend" is a five title series dedicated to all forms of the C1. "The Corvette in the Barn" is another book from the "...in the Barn" series with a few dozen stories of lost and found Corvettes. The Corvette, as opposed to rare, lucrative and expensive sports cars such as those from Porsche, Ferrari, Lamborghini, Maserati and others, was never a rare exhibit but at times a superfluous commodity and its price, therefore, was reasonable. In its early iterations its shape was changed significantly from one generation to the other and therefore created further interest and background noise that helped increase interest in the car. The sporting adventures, supported covertly by Zora Arkus-Duntov and his engineers, against the monolithic background of GM&apos;s senior management, also contributed to the free spirit the car espoused. It was a different spirit to that of GM&apos;s bean counters and it brought them satisfaction only in later years. In 2003 ItalDesign, the most radical Italian design house, designed a concept for a new Corvette. Dr. Jerry W. Passon, who teaches English and technical writing at Hopkinsville Community College, has been a Corvette fan since childhood. He consummated this love affair when he wrote "The Corvette in Literature and Culture". In a lecture a few months ago he said that the Corvette represents many aspects of car culture: technology, emotion, rebellion, freedom, women, power and men&apos;s heroism. It also possesses the auto mobility magic power that Americans have adored ever since the Ford Model T first appeared on the road way back in 1908. Most importantly, it has the air of driving pleasure combined with the sensations of race driving. 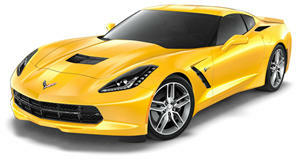 And all those qualities are in the mix that made the Corvette such an American icon. Editor&apos;s Note: This was the final portion of our featured Corvette Icon series. We hope everyone enjoyed it.